Catholic Fried Rice: 3 a.m. Praise: I have a career! 3 a.m. Praise: I have a career! If I remember anything from my 2 a.m.Rant three weeks ago, it was my frustration with wanting to have a job. Well, in the whirlwind of this past week and a half...this is my humbling story on how this prayer has been answered. Two Mondays ago I was ironing for work late at night and I whispered to God, "I don't get it." I thought about how back in Costa Rica, I thought I had a divine revelation about my vocation to Catholic education, especially to be a teacher and I was frustrated that it wasn't going to be true. 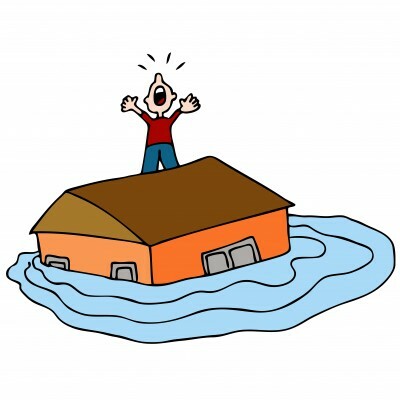 Then I thought about that story of a man who waited for God to save him as his house and town was flooding. In the beginning, the water was knee high and one man came by in a car asking the man if he wanted a ride. The man replied, "No, that's OK. God's going to save me." The water then rose to the first floor of his house. The man looked out the window of his second floor and a man on a boat came by pleading him to come with him. The man replied, "No, God's going to save me." The water rose to the second floor and the man had to step onto his roof. A helicopter came to save the man, yet he replied, "No, sorry, God's going to save me any minute now." The water then rose, the man drowned, died, and went to heaven. When he arrived, he asked God frustratingly, "Why didn't you save me?" God then said, "I tried. I sent you a car, a boat, even a helicopter, but you kept saying no each time." I thought about how I might be pigeon holing my options like the man in the flood, and that prayer that night motivated me to apply for the Director of Development and Marketing position at St. Francis International, a Catholic elementary school here in Silver Spring. The next morning, the principal responded that he saw my resume and wanted me to come in at the end of that week. What? In the past two years of applying for countless jobs, I'm so used to not hearing back, getting strung along for months, and finally receiving "this position's been filled" e-mails that to receive an interview literally seven hours (he responded the following morning) after applying was unheard of, Guinness Book of World Records worthy. I asked God, "Are you trying to send me a boat?" "Yes. Who else is going to do it?" I pulled out all the stops for this one. The following morning I woke up (mostly because I was so excited thinking about the interview) and I researched the school, read their entire Web site, watched all of their videos, even read all the third party news articles about it. My initial indifference about the job when I first read about it the week before erased with a wave of excitement and anxiety. Later that day, I metroed down to Virginia to get my car that was in the shop and drove back to Silver Spring to pick up my suit at the apartment. The next day, Thursday, I stayed in that night while everyone (from USCCB intern orientation) went out and made a phone call to a friend who does this line of work. I prepared my answers to potential questions, wrote them out and practiced them in my head, and wrote down questions I had for them. I e-mailed my family to pray for me. I e-mailed my FrancisCorps housemates to send up one for this Franciscan job. I shined my shoes for the first time ever in my life. The next day right after orientation I drove to the school I've never been to before in a huge thunderstorm. As I walked out of my car my umbrella broke and I got soaked in my black suit and shined up shoes. Awesome. Despite this I still had high spirits. I walked into the principal's office right at 4 p.m. and didn't leave until a little after 6 p.m. I felt like I, with the Holy Spirit, knocked it out of the park, and I don't always feel that way after interviews. The following week, I came in for a second visit/interview. The first interview got me more excited, but the visit and the tour of the school exponentially pushed it. I really wanted to work there at this point. At the end of the visit, the principal and the vice principal sat me down and told me words that will change the rest of my life: "We want to offer you the position." After the ensuing hours that followed, going to the church and eternally thanking God, calling my family, and calling Mimi, who at one point exclaimed, "We can have so many babies!" lol, I want to share my biggest lesson from the whole thing. 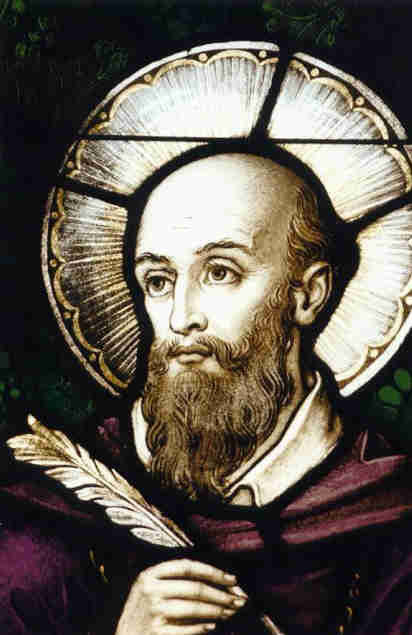 St. Francis de Sales once said, "Be who you are and be that well." In the first interview, they asked me to address hypothetical and real scenarios. I in return brought up how I faced very similar scenarios in Costa Rica when I worked at oh, the other St. Francis school in my life. I remember back then I was doing those things because that was the right thing to do, not knowing it would later benefit my resume or even an interview more than a year later. When we had talked about compensation, they definitely took in consideration both my experience as a recruiter with Catholic Volunteer Network AND my time doing service work in Costa Rica. I just want to shout at all the skeptic students I talked to in the past year who considered a year of service "a waste of time." It's not for several reasons, and here's an added one: it can lead you to an unforeseen career you didn't think possible! Before I left that day, I asked them why they chose me. They specifically told me how they appreciated how authentically Catholic I was with the casual way I talked about myself, how they observed me closely as I interacted with other faculty and by example proved that I am relational, and how I didn't skip a beat with their answers. The kicker for me is that they chose me for reasons of who I am. I was just being me. Be who you are, Matt and be that well. God, you truly did send me a boat. 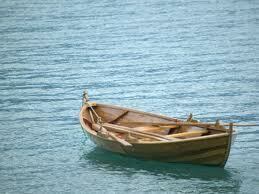 A boat I didn't foresee nor was expecting, but ended up being better than anything I was dreaming and hoping for. I am eternally grateful. Thank you, thank you, thank you. Congratulations, Matt! I am sure this job will bring you many wonderful experiences! Congratulations, wow! Praise the Lord! Thanks for giving me some hope!